Bitcoin is getting more and more popular every day and there are millions of people all over the world who own it. And when the tax season comes, you have to file your tax declaration and, sure thing, don’t forget to mention your Bitcoin transactions there, as bitcoin is regulated in most of the countries, including the US. And this is when a Bitcoin tax calculator will be helpful. 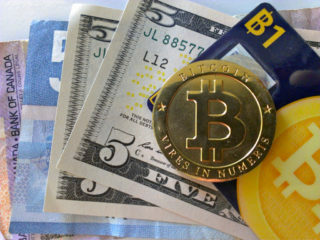 The Internal Revenue Service (IRS) recognizes any income generated by trading cryptocurrency or accepting crypto coin for goods and services as taxable. So, it’s mandatory to file your gains along with your tax returns before midnight on April 17th. To be safe, most traders are filing their cryptocurrency gains based on the instructions and guidelines given some time back by the IRS. There are a couple of tools available in the market to calculate your taxes on crypto trades by integrating your exchanges securely and downloading a gain/loss summary. They provide you with a Form 8949 for capital gains. Not much is certain when it comes to cryptocurrency tax law. What is for sure: Bitcoin gains are taxable. Income, no matter if it is in national currency or digital currency, is taxable unless the IRS states differently. Indeed, U.S. citizens could be liable for taxes on their trading, holding, spending, mining, gifting, tipping and donating of crypto coins. Luckily, there are numerous tax calculators that make Bitcoin tax reporting easier for you as they keep track of digital currency cost and profits over the course of one’s mining, buying, trading, and earning BTC . How to Calculate Bitcoin Taxes? To properly pay taxes on an investment in Bitcoin, you’ll need to wrangle some information from each transaction you conducted over the last fiscal year. This includes the basis for each amount of BTC you sold, the date you bought it, the date you sold it, and the price at which you sold it. What is your state tax rate? That will determine how much you will owe in state taxes. You can also use the dates to figure out whether the specific sale qualifies as a short-term gain or a long-term gain (if you are not sure about Bitcoin terminology, our post will be really helpful). Short-term gains are taxed like regular income, so the rate is equal to your federal income tax bracket. Long-term gains are taxed at a lower rate, but still according to your income level. Select the tax year you would like to calculate your estimated taxes. Enter your taxable income excluding any profit from Bitcoin sales. For most people, this is the same as adjusted gross income (AGI). Enter your state tax rate. Enter the purchase date and purchase price. The purchase date can be any time up to December 31st of the tax year selected. Enter the sale date and sale price. Make sure the sale date is within the tax year selected. Repeat for all Bitcoin or cryptocurrency sales within the tax year selected. BitcoinTaxes (Bitcoin.tax) is one of the most popular calculator apps. It supports importing for most exchanges and wallets, and provides an accurate transaction ledger. In addition, it can also import transactions directly from an address and the blockchain. Various cost methods allow for quick comparisons and lead to numerous export options that include a Form 8949 statement, printed Form 8949 PDF, and files that can be imported into TurboTax and TaxACT. 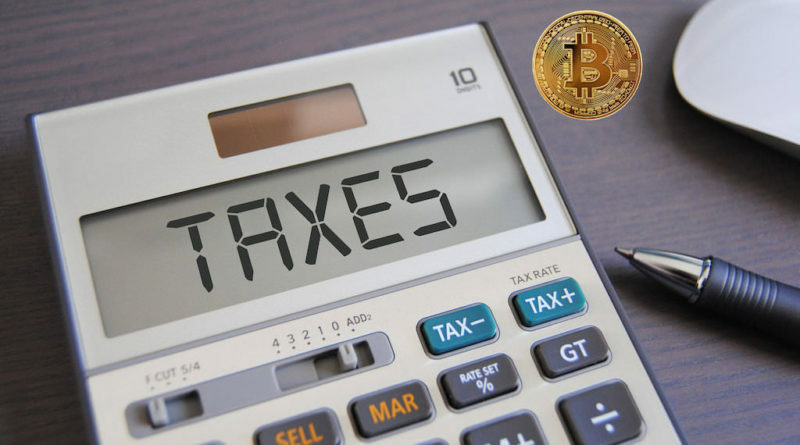 With support for most common exchanges and wallets, BitcoinTaxes will calculate and export tax reports no matter the amount of BTC or altcoin activity. Importing is straightforward and multiple calculations allow a choice of capital gains values. The reports and exports integrate with other tax e-file services, ensuring coverage for any taxpayer’s filing choice. BitcoinTaxes, previously known as Bitcointaxes.info, was launched in February 2014 and was the primary service for the 2013 tax season. A significant update at the beginning of 2015 added more features for the 2014 tax season including new imports, income and spending calculators, and a blockchain viewer. A free version includes all standard functionality, importing, calculation methods and all reports and exports. It does not not include the address monitoring and there is a limit of 100 transactions. An unlimited version is available for $19.95, payable by bank card or BTC. You can sign up either with a Google account or an email address. The email address does not have to be real, if you are concerned with privacy. However, a real address would need to be used to receive any website updates. Alt-coins, e.g. Litecoin, are treated no different than Bitcoin and transactions are added into the table as they were traded. This includes any coin to coin trades, for example, DOGE/BTC or XRP/BTC. This, in comparison, is a significant failure of LibraTax, which does not maintain the original base price of the currency pair and ignores any non-BTC markets. The Spending tab imports wallet files from the Core wallet software, used by Bitcoin and many altcoins, as well as from Blockchain.Info. Once all transactions are imported, one or more can be selected and marked as a transfer. This marks the receiving address as an owned address and also re-categorizes any other transactions to or from that address. Owned addresses are displayed in the Address tab, which is available to paid users. Addresses are automatically added from imported transactions or can be added manually, although currently only for BTC, LTC or DOGE. Any income or mining transactions are included in a mining report, that summarizes each income type as well as totals for each mined coin. The mined coins’ values are calculated and totaled, ready to be included as part of income data in either Schedule C or in Line 21 of Form 1040. CoinTracking is one of the most feature-rich cryptocurrency portfolio and tax trackers that offers a web based platform as well as a mobile app for both Android and iOS phones. They also provide reporting for tax purposes, which is a huge benefit considering governments are going to start cracking down on people avoiding paying taxes on their gains. There are 3 different account plans for CoinTracking. The types are Free, Pro, and Unlimited. The screenshot below summarizes the features of each. You can buy 1 year, 2 years, and lifetime subscriptions. Note that even though the Free version has an “X” for tax reports, it will let you run a tax report as long as you have less than 100 trades! CoinTracking supports thousands of cryptocurrencies, including Litecoins, Namecoins, as well as more obscure digital currencies like Terracoins and Devcoins. CoinTracking makes tracking your transactions from Exchanges and wallets very simple. The two primary ways to import transactions are manually by using a CSV file, or automatically by using an API. 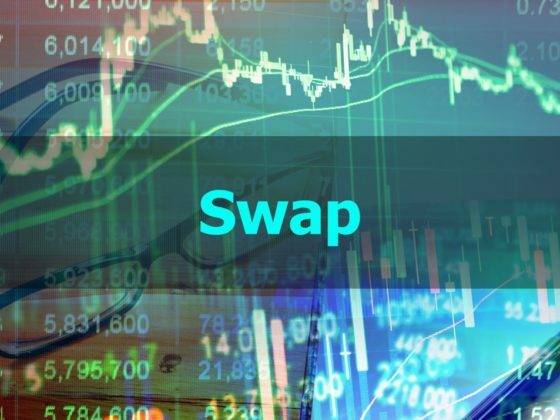 It supports over 5,000 digital currencies and supports 25 exchanges, which is very valuable for active traders who use several exchanges and hold a broad portfolio of digital assets. Armed with this information, CoinTracking then generates a tax report for you relevant to your jurisdiction. Even though the CSV method is manual, they provide clear instructions for how to export a report from your exchange or wallet and then upload it. Note that even if your exchange is not on this list you can still format a CSV file with trade data and upload it. This program provides a lot of different options for preparing a report, so you can easily generate one that will fit your reporting needs. The screenshot below shows the options available when generating a tax report on CoinTracking. It provides different tax percentages, various pricing and accounting methods, and even allow for calculating margin trades. Once you run a tax report, you will have the option to load the regular report or load a very detailed version. It also separates out Income, Capital Gains, Gifts, Lost/Stolen, etc. into their own separate reports. The screenshot below is an example of the capital gains section. Notice the options for exporting in Form 8949, TaxAct, and TurboTax compatible formats. Coin charts and analyses – CoinTracking is definitely worthy of that name, but its tracking capability also extends to the past. Namely, it keeps history charts of all 4532 virtual coins while also always providing the latest prices for each one. It also provides a list of top coins by volume and by trade, along with an experimental Bitcoin forecast. Tax declaration – All trades will be calculated according to FIFO, HIFO, LIFO, and LOFO and prepared for your accountants and the tax office. The algorithm also incorporates fee consideration and variable parameters, depending on your country of residence. LibraTax is another popular taxation solution and among the best tax software for investors in the world of digital currency. It allows users to keep track of all their cryptocurrency transactions by automatically retrieving the user’s historical sales and purchases of Bitcoin from the blockchain and reconciles them with the real-time value of the digital currency. The software also allows users to date back transaction for previous years for those who desire to amend tax returns from prior years to keep the taxman happy. LibraTax was launched as Beta in August 2014 just before the final 2013 October tax filing deadline and has been through several iterations, both adding and removing functionality, ready for the 2014 tax filing season. LibraTax is not a free tax calculator, but it has a free trial version where you can import up to 500 transactions. It provides access to all supported data imports, a transaction ledger, and summary totals for the various cost methods. A payment of $19 payable by card, and recently Bitcoin, increases the limit to 5,000 transactions and provides access to a downloadable Tax Report. Signing up is done with an email address and password. The email address doesn’t need to be real as it isn’t validated and is not used in any notifications or marketing. BTC-e is the only LibraTax import that supports trading of alt-coins, such as LTC, PPC and NMC. LibraTax does claim to work with all digital currencies, but this does not seem to be the case. Transactions in the LTC/BTC market are included but always represented as BTC/USD transactions, so the cost basis of LTC is lost. In addition, LTC/USD trades are simply ignored and don’t even get included within the transaction history. When importing the Blockchain.Info wallet using the API, LibraTax requests the wallet’s Id, password and also prompts to disable the two-factor authenticator. LibraTax can import individual addresses, which is simple and quick, although only supports Bitcoin addresses, and only the latest 1,000 transactions. This should be enough for most people, as long as that limit is increased each year. Each imported address can be flagged as an income / mining address, where incoming transactions would be marked as Income, using the daily price. This sets the cost basis as if there had been a purchase, but also includes them in the final income total. Feature rich and capable of handling all Bitcoin and altcoin tax calculations for capital gains, income, mining and spending. Multiple cost basis methods, including FIFO, LIFO and cost averaging, as well as like-kind calculations. Multiple reports for gains, income, donations, and exports to TurboTax, TaxACT as well as generating Form 8949 PDF or statement. Tabbed interface could require uploading the same files twice for trading and spending. Free version only supports up to 100 transactions and does not include address monitoring. CoinTracking CoinTracking is probably the best solution to calculate your digital currency investment income, especially if you have a large diversified portfolio. Using CoinTracking is easy and not risky. Access to your own crypto-assets is secure, data is read only but not written. To use the full functionality of the tool you need to buy a premium package and this is quite expensive. LibraTax Simple interface with FIFO, LIFO and an optimized cost basis method for minimizing capital gains. Integrated with BitGive assisting in highlighting tax benefits from making charitable donations. Inconsistent and inaccurate importing often requiring substantial manual editing. Payment is required before viewing or accessing the downloadable CSV file for Form 8949. The CSV file contains simple rounding errors and cannot be imported into e-File tax software. It is only relevant to those who file their taxes in the U.S.
Understanding the basics of taxes is important not just for paying taxes, but also to help you plan your trading strategy and to avoid unpleasant surprises. Cryptocurrency trading is conducted in an extremely volatile market, making it rather daunting to keep track of your current profit/loss balance across all the exchanges/markets you might be utilizing, searching for the most opportune rates. Having good tax software can be essential, as it will help you with the Bitcoin day trader tax. 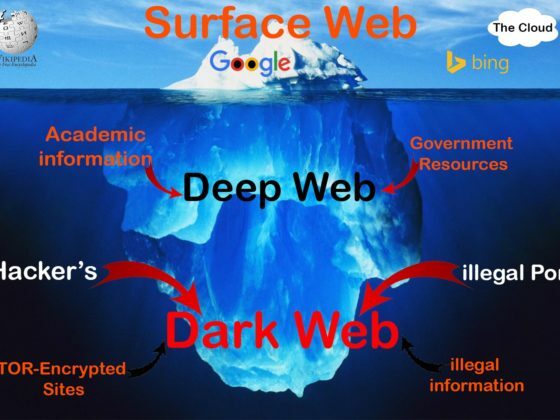 The Dark Web: What is it? How does it Work? And How do I Access It?